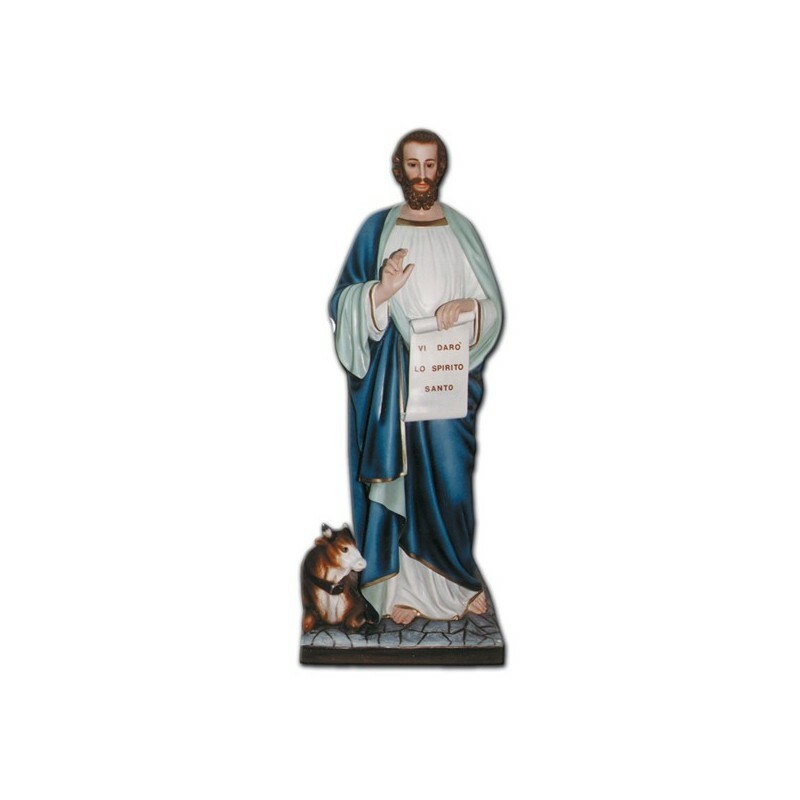 Statue of Saint Luke the Evangelist, 160 cm of fiberglass, handmade in Italy. 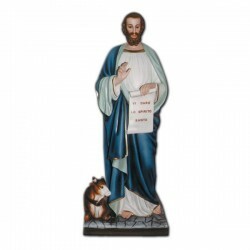 Saint Luke the Evangelist is commemorated on the 18th of October. He lived in the I century in Antioch and he died in Boeotia. He was a doctor and he became the collaborator of Saint Paul until the martyrdom of this great apostle. He wrote the third Gospel and the Acts of the Apostles. Probably he was also a painter. He is illustrated with old clothes, with a book in hand (probably his gospel) and with a ox at his feet.